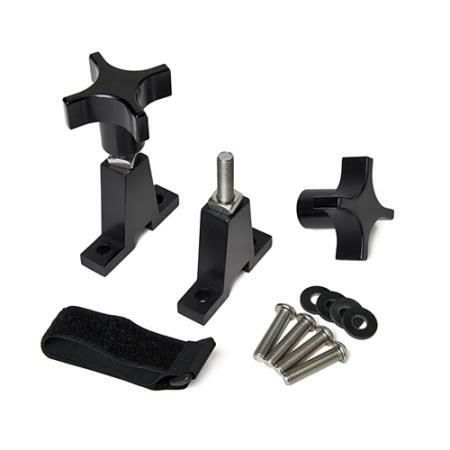 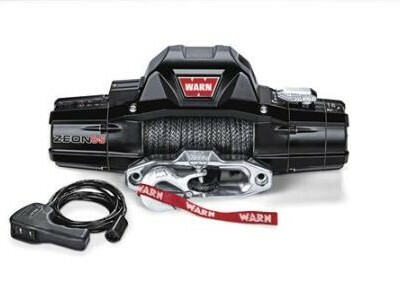 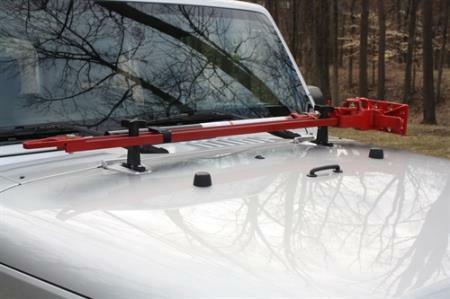 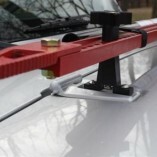 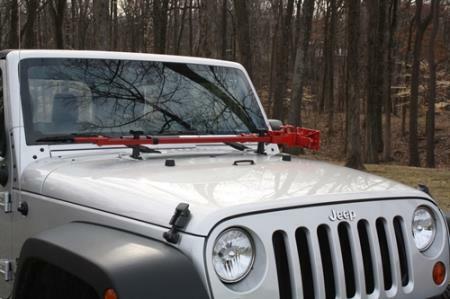 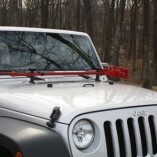 Mount your Hi-Lift Jack within easy reach on any Jeep Wrangler and CJ. 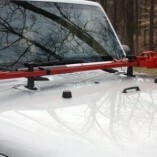 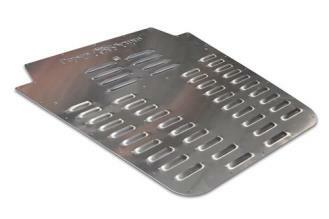 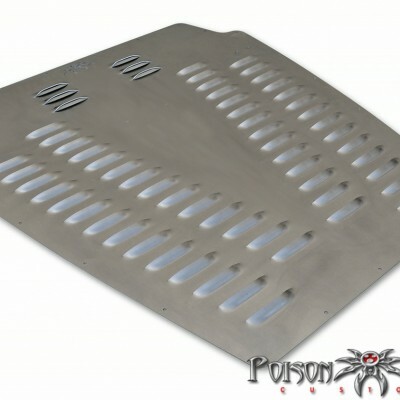 Mounts directly to existing hood hinge holes, no drilling required. 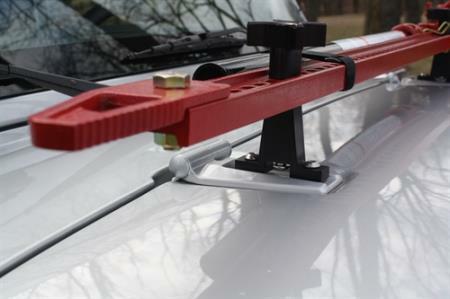 6061-T6 structural anodized aluminum for strength, durability, and a clean look.